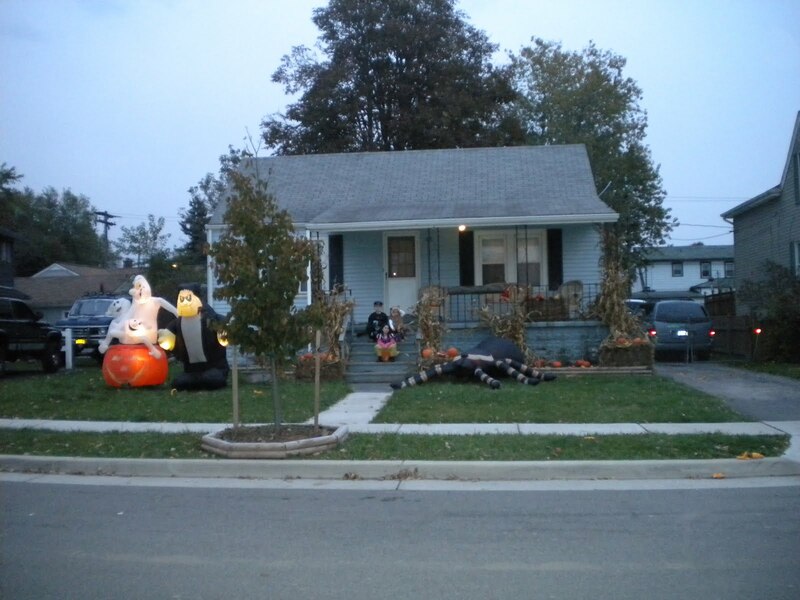 We had a great Halloween. 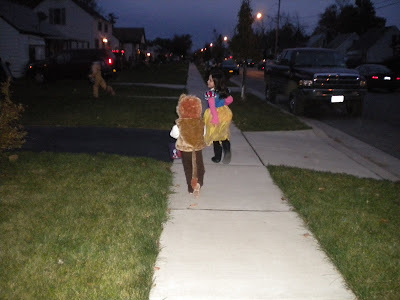 It was warmer than we thought it would be (around 50 degrees) and the kids were very excited. Their ultimate goal was to make it up one side of the street (we are the 1st house) and all the way back down. I am pleased to say that we made it, even Liv. Although, the pillowcase Bud brought along to contain ALL OF HIS CANDY ended up being the catch-all for all 3 kids’ candy and guess who got to carry that sucker. Yep, me. Bud’s friend who came with us was all up in arms over the fact that there was one bag housing the candy of 3 kids. I blew his mind further to tell him that they all share the candy, and that we hardly let them keep any of it. It’s true; it goes in the freezer and it lasts all year long. We are mean, mean parents, I suppose. 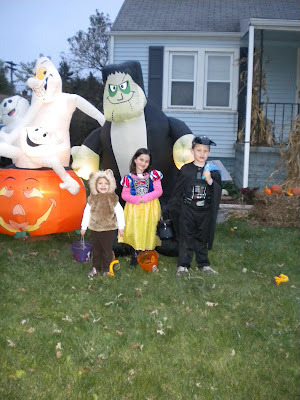 Anyway, here they are, Liv the Lion, Snow White, and Darth Vader. Get a load of Liv’s tail!! Awww. Also, is that your house? Holy Awesome Decorating Skills, Saly! Aww, they look great! Glad they all had a good time.